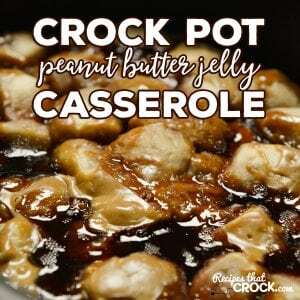 Crock Pot Peanut Butter Jelly Casserole - Recipes That Crock! 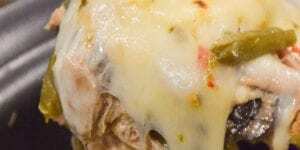 Are you looking for an easy breakfast casserole that kids of all ages enjoy. 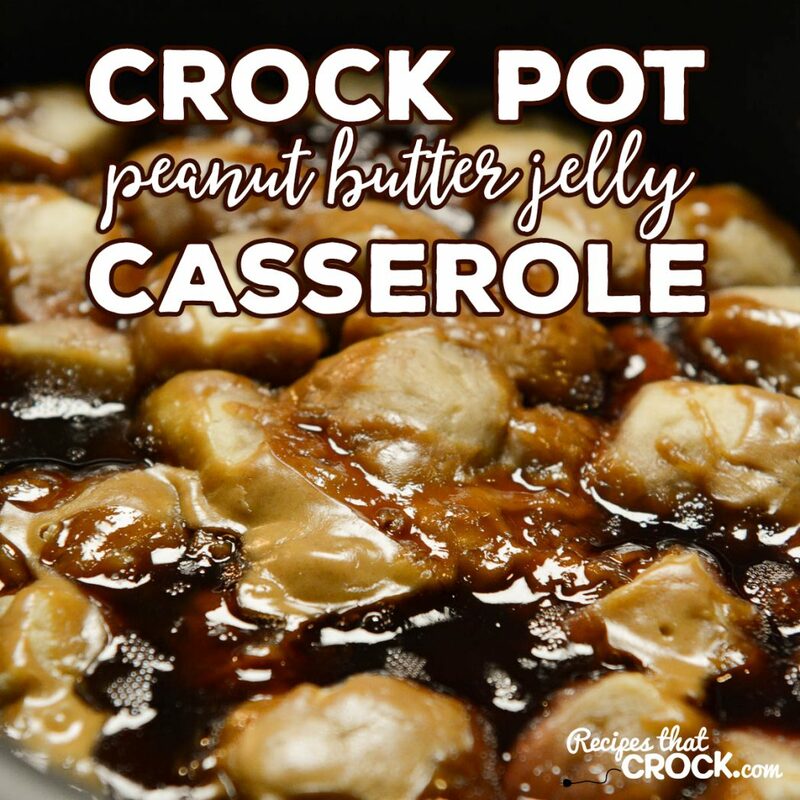 Let me introduce you to our Crock Pot Peanut Butter Jelly Casserole. 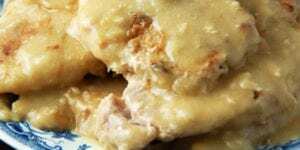 This slow cooker recipe is so easy to make and a favorite of PBJ fans! Everyone in my house loves peanut butter and jelly sandwiches. 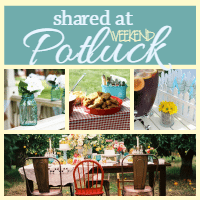 So, when I was trying some new things in the kitchen the other day I decided to give a very simple recipe a try and the results were SOOO good I ended up making it several more times– including for a family get-together! Mikey even made you a video for it! 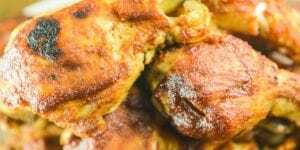 Place your dough in a greased 6 quart slow cooker or non-stick slow cooker. In a sauce pan, melt your peanut butter over medium-high heat, stirring constantly until thin. Drizzle over the top of your biscuits. Melt your jelly in a saucepan or microwave and drizzle it over the top of the biscuits and peanut butter. Cover and cook on low for 90 minutes to 3 hours until the center is set. If you use a different size biscuit than we use, make sure you only use 24 oz of biscuit dough. Too much dough will make it difficult for the center to set up. This recipe will need a 6 quart slow cooker. I prefer to use my non-stick slow cookers, but I have made it in a regular ceramic crock too. I just wouldn’t go smaller than 6 quart unless you have a casserole crock. 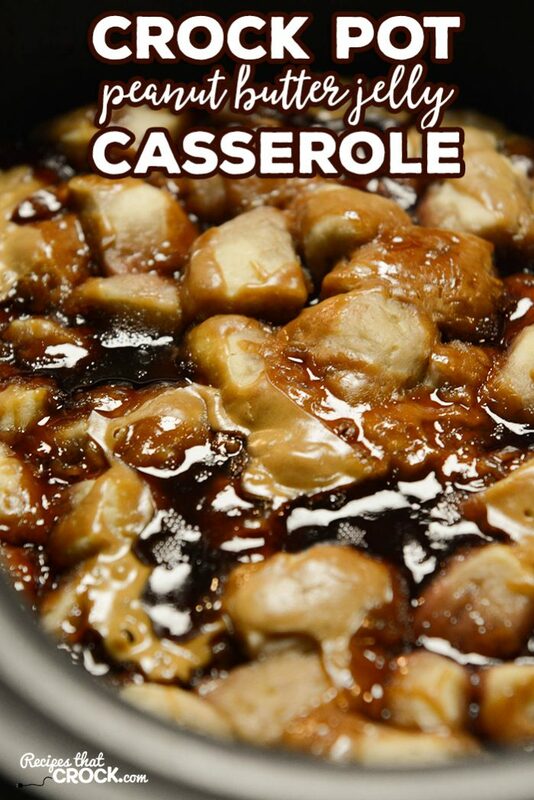 We haven’t tried it in the casserole crock yet, but it should set up fine in there. You can use whatever flavor jelly is your favorite. We used grape. 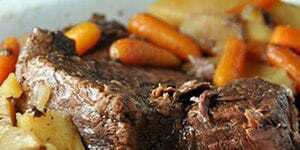 This recipe will need a 6 quart slow cooker. I prefer to use my non-stick slow cookers, but I have made it in a regular ceramic crock too. I just wouldn't go smaller than 6 quart unless you have a casserole crock. 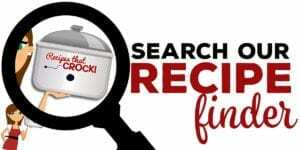 We haven't tried it in the casserole crock yet, but it should set up fine in there. 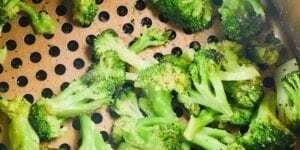 Can you include the nutrition information for all your recipes? Thank you! Your nutritional information will be based off the products you choose to use. We do not provide that info as it will vary greatly depending on what you use. Enjoy! 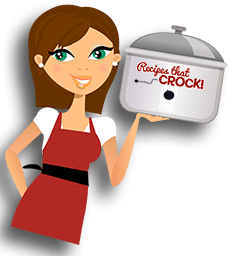 Can you use a crockpot liner? I don’t see why you couldn’t. We haven’t had issues with it sticking though, so I am not sure I would from a liner cost perspective. Enjoy!